Opened February 1910 by Star Animated Pictures in an existing mechanical workshop. original seating was for 1,005. Remodelled, in 1914 by CJ McNair. Sold to Star Palaces Ltd, rebuilt again in 1920 by architect William Reid. Closed in August 1925, and rebuilt as the F&F ballroom. Now a Bingo hall. 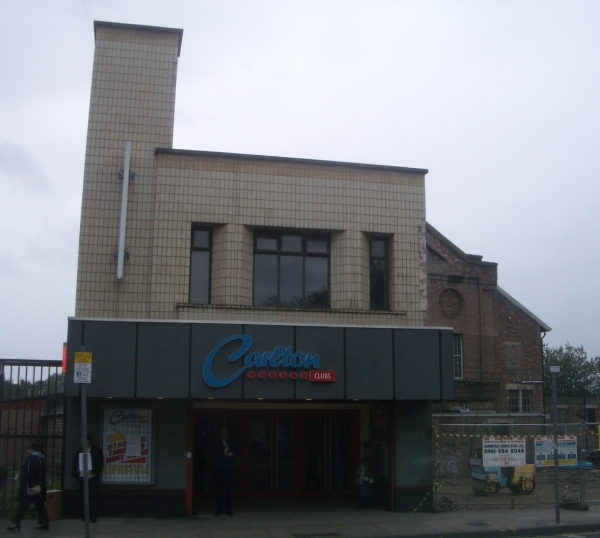 The entrance shown above, dating from its dancehall days, has since been demolished, and new flats built across the site. 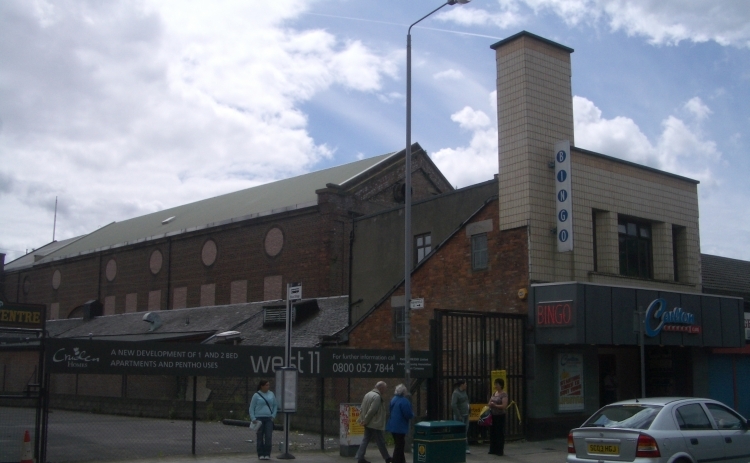 A new entrance to the bingo hall / auditorium portion of the building was created through these flats in 2007. During the building work, it was briefly revealed that the rather elderly equipment is still in situ in the spot room booth. Westrex amplifiers for the dancing and the bingo were in the spot room. At the back of the right hand picture the Pridelite dimmer board is visible, used to change the coloured lighting in the hall and bandstand. The spotlight is a Stelmar spot (not a projector); the black unit at right of picture is a Nevelector mercury arc DC rectifier for the Stelmar, which was very basic spot with just with the carbon arc inside and a lens which focused the hot spot of the arc flame. It stood under the vent hood. The blue unit is the battery unit for emergency lighting.